3/28/2018 TVR Moldova: Talk about cyber security The Moldovan project coordinator participates in TVR Moldova show "Common Objective" to talk about cyber-security. 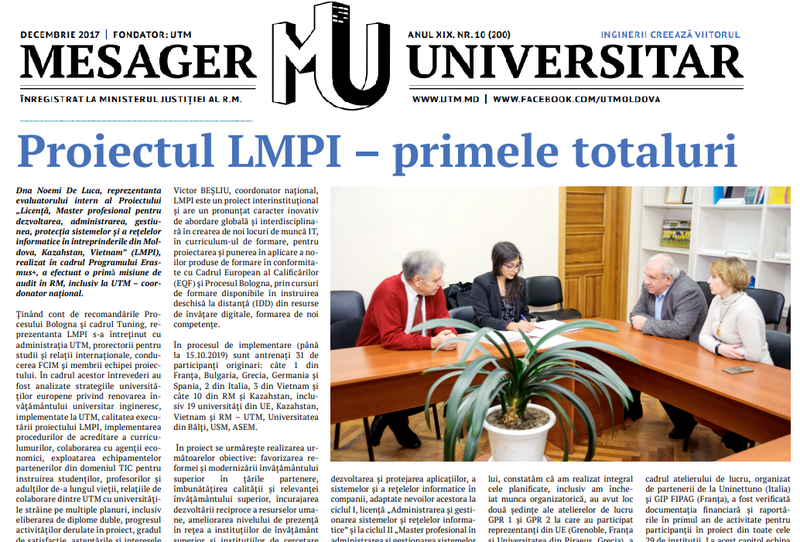 Ms. Noemi De Luca, internal evaluator for the LMPI Project, has carried out a first mission to evaluate the quality of implementation of the project in Moldova. She visited TUM, national project coordinator.